… and not all of them are even in that pic. I’ve added two more in this update. 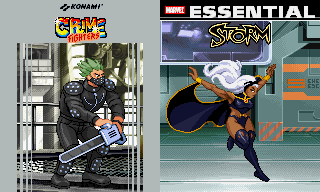 Storm was in the X-Men print, but not on the site (until now) and the Chainsaw Boss from Crime Fighters was done during the DangerTerrorHorrorThon, but I didn’t really feel like he completely fit the theme for some reason. edit: As much as I want this year over as soon as possible, I’ve got to add some stuff here. River City Ransom: Underground (a worthy successor to the original), Fire Pro Wrestling World (the legendary series finally hits PCs with more customization than ever), Combat Core (in Early Access, a fun arena brawler for those to still miss Power Stone), Mercenary Kings (easily one of my favorite recent run ‘n gun games), and Owlboy (a pixel art masterpiece 10 years in the making, and it shows). Most of 2017 was crappy for me, but some of the few good things I was able to experience this happened because of this site. Those pixel art commissions made up for the loss in day job hours and, fortunately, everyone I worked with was incredibly cool and paid me to sprite things I enjoyed making. The biggest event was being asked by Cuddly Rigor Mortis to make a print for the Gallery1988 Mattel show, and the limited edition print sold out! 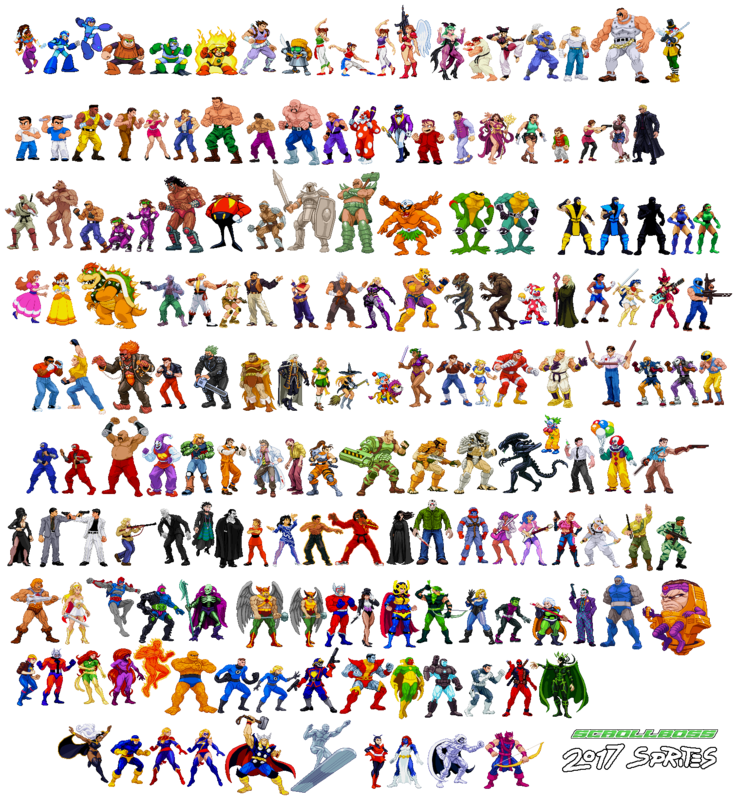 I finished a lot of my own personal wish-list sprites (the Capcom Aliens vs. Predator crew, completing the Mega Man 2 Robot Masters, the Last Dragon, Konami X-Men, Dr. West from Re-Animator, too many others to list). Lots of behind-the-scenes work was done on the site, and I’ve got another chunk almost done that will change and add a lot of sections in 2018. I want to thank you for the feedback and extra encouragement I got throughout the year, because it helped me get through the rough spots. See you in 2018! 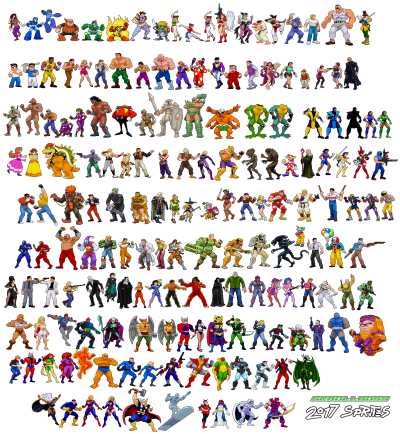 All these new sprites have been added to the main graphic generator, along with the new G.I. 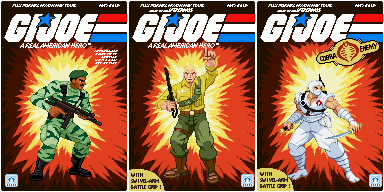 JOE 128×192 pixel layout used to display some of the new G.I.JOE sprites up there. It replaces the cruddy, shorter version I did a long time ago. I’ll be adding more versions of that card in the near future. Wherever you and whatever you celebrate, I hope you have a happy one! 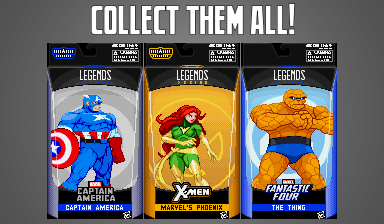 The recent Marvel Legends boxes have been added to the main GFX Generator. I posted teasers for this in different places months ago, but I just finished a few things that made ’em ready for the site. There are more box set-ups, including some that let you choose a mini-logo for the bottom of the box. I’ll add more if people like how these turn out. BTW: I got hooked on Marvel Legends again thanks to the Spider-Woman, Captain America (with Capwolf head) and Whirlwind (because of that Avengers beat ’em up). They became ridiculously hard to find around here back in the Toy Biz days, so I gave up on ’em, but ended up getting into Hasbro’s smaller Marvel Universe line. Between their becoming easier to find and using classic designs again, I’m buying more ML’s. I hope they keep putting out that Marvel Retro line, too (I still need that retro Iron Man, since he has the armor from the Data East beat ’em up). 2.) fixed “the Holograms” (of Jem and the Holograms) so it shows up in the GFX Generator’s Toys & Toons section. It’s only Kimber for now, but she may have some company in a few days. Fellow pixel artist Mr. Gilder has a brand-new site with his work, including those beautiful wooden pixel sprites. 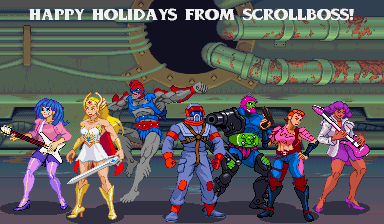 Please give that site a visit if you’re a fan of pixel art! You’ll see what that’s about either right at the end of the year or early 2018.